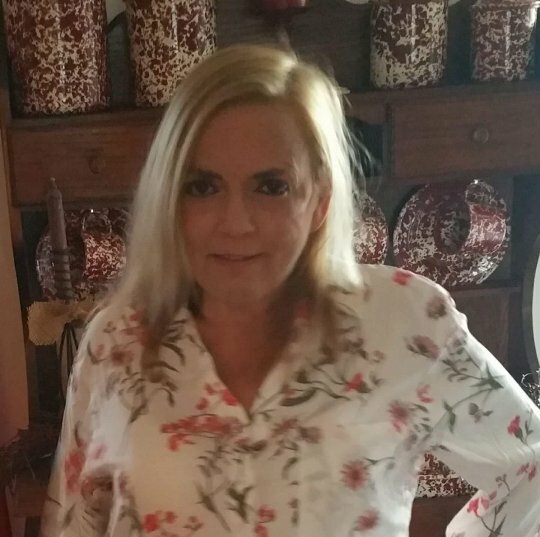 Cynthia Ann Jones Shackelford age 53, of Monticello, Kentucky passed away on Wednesday, May 16, 2018 at Lake Cumberland Regional Hospital in Somerset, Kentucky. She was born on January 9, 1965 in Monticello, Kentucky to the late Curtis Edward and Barbara Ann (Lewis) Jones. Her hobbies included sewing, cooking and doing crafts. She also enjoyed watching mystery shows and reading. Along with her parents, Mrs. Shackelford is preceded in death by her husband, Roger Lloyd Shackelford. Mrs. Shackelford leaves behind to cherish her memory, two sons, Brandon Michael Whipple (Rebecca) of Muncie, Indiana and Luis Scott Quijano of Monticello, Kentucky; brothers, Dewayne Curtis Jones (Pamela) of Noblesville, Indiana and Claude Weymouth Jones (Jackie) of Lawrence, Indiana; sister, Elizabeth Sue Bowman (Rick) of Somerset, Kentucky; two stepsons, Roger Shackelford, Jr. and Matthew Shackelford of Pennsylvania; great-aunt, Anna Gann of Monticello, Kentucky. She also leaves behind a host of nieces, nephews, cousins, and friends, including special friends, Joy Dobbs, Mary Ellen, and Linda Thompson. Visitation for Mrs. Shackelford will be Saturday May 19, 2018 from 11-2 P.M. in the chapel of Southern Oaks Funeral Home. Funeral Service will follow immediately at 2 P.M. on Saturday May 19, 2018. Interment will follow at Mill Springs National Cemetery at a later date. In lieu of flowers expressions of sympathy may be made to the Cynthia Shackelford memorial fund at Southern Oaks Funeral Home. Southern Oaks Funeral Home entrusted with the arrangements for Mrs.